Spike City : Explore exciting worlds and solve tricky challenges in this action-packed platforming game! 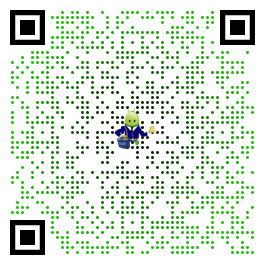 Just swipe up, down, left, and right to move around! Stick into walls with your powerful spike! 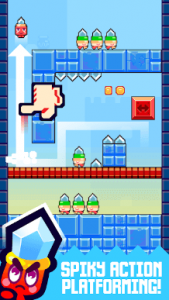 Another fantastic game by Nitrome. Although the bossfights were a little too easy, it was fun. I love the character customizations, as well as the graphics too. The gameplay was unique and challenging. The controls get funky sometimes but it is alright since it only happens once in a while. It’s probably because of my problems against sweat. What’s great about this game is that you can play it only using one of your hands. One of my favorite types of games. You also fixed your checkpoint mechanics this time, unlike your previous game, Colorblind, it was rather annoying. Your games are perfect for my kind of entertainment and I will always play your awesome games! I’m gonna be playing this for the next month non stop! It’s extremely fun and challenging at the same time. It’s worth a download if you need some time to kill! SUPER fun little game, been following development for a while and it’s a lot more fun than I expected! Lovely graphics and simple controls but challenging and interesting gameplay. Love it! Game crashes on launch. Nexus 6p. I’ll update review if this gets fixed. It looks like a game I’d like. I love it, moving is fluid and the puzzles are fun to zoom around in. When you get stuck on a level it doesn’t feel like the game is being unfair, and when you figure out the solutions you can zoom through the levels and endless mode so fast that you feel awesome If the developers see this review: I found a bug with the one way arrow blocks, sometimes when I fly through them, it kills me, I think it’s the same cause of death as getting crushed by a moving block. I don’t know how reproducible it is but it usually happens when I’m doing multiple swipes without lifting my finger, and possibly also when I hit a wall and immediately turn into the block, and then my character just dies. It normally happens in endless mode.